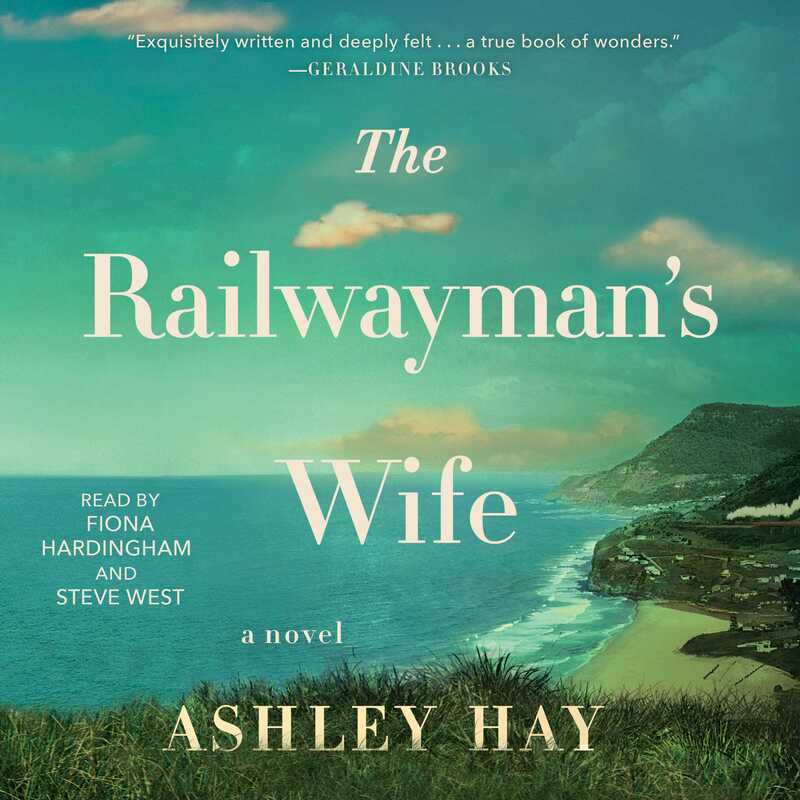 This reading group guide for The Railwayman’s Wife includes an introduction, discussion questions, ideas for enhancing your book club, and a Q&A with author Ashley Hay. The suggested questions are intended to help your reading group find new and interesting angles and topics for your discussion. We hope that these ideas will enrich your conversation and increase your enjoyment of the book. Amidst the strange, silent aftermath of World War II in a small Australian coastal town, a widow, a poet, and a doctor search for lasting peace and fresh beginnings in this internationally acclaimed, award-winning novel. 1. Consider the following quote: “Mac raised his cup and paused—the smallest toast—to drink. That was marriage, he thought, remaking yourself in someone else’s image. And who knew where the truth of it began or would end?” (p. 149). Do you agree with Mac’s interpretation of marriage? 2. In response to Isabel’s question about where Mac is after death, along with fallen soldiers, Annika states: “It’s probably like your kaleidoscope: you look at one piece of space, and every tiny twist or turn multiplies that into somewhere new—somewhere different. More than enough room for everyone’s version of everyone to fit in somewhere, to be doing different things we all think they ought to be doing” (p. 154). Discuss Annika’s thoughts and feelings when confronted with information and anecdotes about Mac after his death. 3. Both Mac and Roy think of Annika as angel. Why do you think this is so? 4. What do you make of the conversation between Dr. Frank Draper and Annika in the library, on their first meeting? (pp. 85–88). 5. What role does the ocean have in each of the characters’ lives? 6. What do you think of Mac’s statement to Dr. Draper and Roy: “It’s not my war, not my world. I’d stay here, you’re right. I’d stay here and keep my wife safe, and my children.” (P. 243) To what extent was this Roy and Dr. Draper’s war? 7. Consider Roy’s poem ”Lost World” (the poem appears in its entirety pp. 183–186). Do you think it is a nexus between the world he has seen torn apart by war, and what he has found in Thirroul? 8. Annika carries Kangaroo “like a literary Baedeker” (p. 18), using it to identify places around Thirroul. Discuss the comfort she gains from using literature as a guide. 9. Discuss the effects of the war on Roy McKinnon and Dr. Frank Draper. 10. The act of mourning and memorial takes various shapes and forms in The Railwayman’s Wife—as Annika tells Isabel, “We’re his memorial, I suppose.” (p. 44). Do you think it was important to have a memorial service for Mac, even though Annika was against it? In what ways does the town differentiate between those who were killed during the war and those killed at home? 11. What did you think of Roy’s idea to leave the book of poems on Annika’s bookshelf? 12. Did you like the ending? Why or why not? 1. The Australian backdrop of The Railwayman’s Wife is significant in setting the place and tone of the story, but both Annika and Mac come from rich traditional heritages as well. Research traditional Australian, Scottish, and Nordic dishes to bring to your book club’s meeting. 2. On page 84, a librarian says to Annika (paraphrasing Jorge Luis Borges’s Poema de los Dones), “I’ve always wondered if paradise might not be a little like a library.” What books would you include in your ideal library? What was the genesis for The Railwayman’s Wife? My father’s father was a guard on the railways. He was killed in a workplace accident in the early 1950s, and his wife, my grandmother, was given the job of librarian in the local Railway Institute Library as a kind of compensation. I was always fascinated by this story – this gesture; I’ve since found out it wasn’t an unusual response to an accident. The widows of Australian railwaymen were sometimes given jobs as librarians, as station mistresses, as the laundresses for railway workers’ barracks and so on. More than ten years ago, the rooms where the Railway Institute Library had been housed were opened for a local History Week event, and I went to hear my dad talk about his memories of the library his mother had run there. And while he was talking, a train came through the station – only a few feet from where we all sat, in a little building that literally butted onto the platform. It was shockingly close, and shockingly loud. And for the first time, I realized that my grandmother, in taking that job after her husband’s death, had had to work, every day, so incredibly close to the sound of the very thing that had killed him. This isn’t the story of my grandparents, but I borrowed the idea of an accident, and a librarian’s job on the other side of it, and began to imagine a novel from this kernel. Why did you choose to set the story in a small town about an hour south of Sydney, on the east coast of Australia? My grandparents did live in Thirroul, and my grandmother’s job was in the Railway Institute Library. I grew up in that part of the world – it’s a beautiful landscape, with a high escarpment coming right down to meet the Tasman Sea – and I’d always wanted to write about it. When I came to begin to imagine the story of Ani and Mac, I tried other landscapes, but none of them rang true. Then I tried writing the landscape of Thirroul but changing its name and the names of other places nearby – which didn’t ring true either. One of the reasons I was hesitant about setting the novel in Thirroul is because it’s the setting – and the birthplace – of D. H. Lawrence’s Australian novel, Kangaroo. Lawrence rented a house on the cliff-top of Thirroul during the winter of 1922 and wrote a draft of the book in six weeks. Those were some large literary footsteps in which to try to follow. The key turned out to be incorporating both the memory of D. H. Lawrence – and the book he’d written – as part of the book I was trying to imagine, making them part of Ani’s story in that way. Once I’d put that piece into place, I felt like I was able to imagine my own historical version of this small seaside village. Why did you choose to set the book in 1948? As someone fortunate not to have been alive during any of the 20th century’s international conflagrations, I’ve always been intrigued by the way conflicts bleed beyond the dates in which history constrains them. Ani has a line in the book about expecting World War II to be like a tap, its stop-start dates giving it a sense of a thing turned on, and then turned off. I guess it’s almost a default to think about them that way when you’re reading about them, rather than having experienced them. But war can never be like this – no part of life is ever so corralled. By setting the story in 1948, I wanted to think about that space just after war, when everything is supposed to have returned to “normal”, and the waves of war-time deaths have stopped. I wanted to think about the space that disappears beneath the wonderful moment marked “peace”, and how complex and messy a space it might still be. How did you choose the poetry and other writing that’s mentioned by the characters in the book? In some cases, I chose poems and novels that resonate with me and would also make a particular sort of sense to my characters. The moment when Mr Rochester talks about being connected by a string, somewhere near the heart, to the small person of Jane Eyre – and his fear that that connection might, over too much distance, simply snap; that seemed like a perfect literary moment to give to someone who’s beginning to learn about grief, about what it is like when that cord of connection is snapped. The exhilaration of Siegfried Sassoon’s “Everybody Sang” felt like exactly the right gift to give Roy McKinnon as he tries to make sense of this other side of war – and I liked the juxtaposition of Mac Lachlan’s thick Scottish accent and the rich words of the Irish poet, W. B. Yeats. For the books that people were borrowing in the library, I researched new releases and popular volumes that had been around in those immediate post-war years – particularly the serials and the sequels – and I gave some of those to my readers. And a long time ago, I wrote a book about Lord Byron, so when I was thinking about the kinds of love poems that Roy might turn to, I snuck in “She Walks In Beauty”, which is one of my favourites of Byron’s poems. What is the provenance of “Lost World”, the poem Anikka Lachlan finds in a bespoke anthology that’s left for her in her house? I wrote a draft of the poem that Ani finds when I was working on the manuscript. I remembered a poem that a friend had written years ago when we were at university – it had a line about a woman looking like “an angel in a lost world”, and that seemed like the central image that the poem in The Railwayman’s Wife needed. So I sent one of the strangest emails I’ve ever sent – to someone I’d never met – explaining who I was, and what I was trying to do, and that I was hunting for a poet to write me a poem. Stephen Edgar was charming and friendly, and sent a very friendly message back saying he’d be happy to give it a try. He asked me just to send the skeleton of the poem I’d written, and any images or phrases that were integral to what I needed. He said he’d let me know within a week if he couldn’t come up with anything – so that I could try to find someone else. Less than a week later, he sent me a poem, the poem that’s now in the novel. And it was perfect, completely perfect. It took my breath away. Not only was the voice of Roy McKinnon so perfectly captured; not only were all my images and ideas so beautifully incorporated into its text; not only did I know it would leave Ani speechless: the piece also had a number of intersections with other points and moments in the rest of the novel – a novel that Stephen hadn’t read. It was a moment of profound synergy or synchronicity, I think. And the poem – “Lost World” – seemed to strengthen and clarify the whole spine of the novel that I was trying to make. 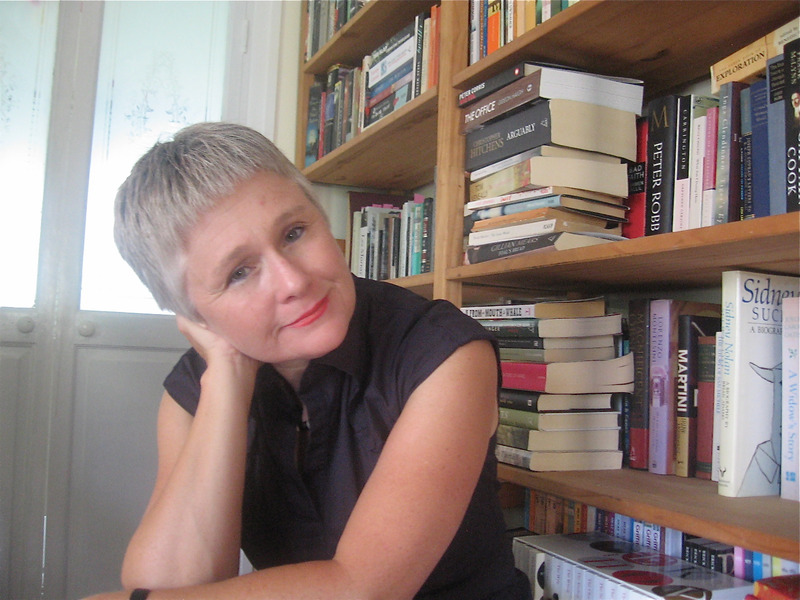 But there’s a lovely postscript to this story: in 2014, The Railwayman’s Wife was shortlisted for the Colin Roderick Prize, awarded annually by the Foundation for Australian Literary Studies to the “best book reflecting Australian Life” – as was Stephen Edgar’s own verse-novel, Eldershaw. The judges chose to present the award to both our books, which I felt made Stephen Edgar the only writer to win the award twice in a year, given that his words were so integral to however my own words had worked. Where did your characters come from – Ani, Roy, Frank and Mac? Although Ani and Mac are not based on my grandparents – and the story in the novel is not their story – I did borrow some parts of my grandparents’ lives to vivify these fictional ones. I made Mac Scottish; I gave Ani some Scandinavian heritage. I realized, after the book was first published, that I’d fed so many bits and pieces from all sorts of branches of my family and its local history into the people I was trying to invent. I knew very early on that Roy needed to be a poet, and I began to read about poets who’d begun to publish during WWII, and to think about people who might begin to use words that way during such extreme circumstances – I thought about people who love words, and I thought about some of the teachers I’ve been lucky enough to have, and it made sense to give that background, and that passion, to Roy. And the genesis for the character of Frank Draper, the doctor, came from a tiny snippet of conversation with another wonderful Australian poet, Les Murray, a long time ago when I was writing a book about Australia’s iconic trees, the eucalypts. Les was talking about people from his part of the world who’d come home from World War II, and he mentioned someone who’d seen some of the German camps just after their liberation. He didn’t say much about him; he just said that he was never the same again. Frank Draper grew out of that sentence. There’s a kind of power to the job of small-town librarian that Ani Lachlan takes on, in terms of helping people to find new or misplaced parts of themselves through the stories they read. Do you ascribe such super-powers to librarians? I love libraries. I love the idea that you can walk into a library and disappear – just by entering this one space – into other lives, other eras, other places, other universes. I love the fact that when you go to a library to look for Book A, you invariably find Books B through Z as well, which you didn’t know you even wanted and which send you in thousands of new directions, whether you’re researching a project or simply looking for something to read. All those options; all that choice. I think I wanted to be a librarian when I was little; I think I thought they got to sit around and read all those books all the time, and that seemed like a perfect occupation. So many people have stories of librarians who sent them off in a different direction or showed them the magic of reading or rescued them from their own particular circumstances. That has to be some kind of super-power, doesn’t it?